Spanish exploration into the area is responsible for many of the area's topographical features. 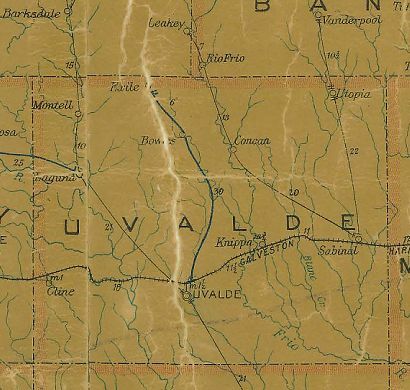 In 1790 Juan de Ugalde (namesake of Uvalde) led united tribes of Comanche, Taovaya, and Tawakoni Indians to drive the Apaches from what is now Utopia. In 1839 and 1841 there were reported battles with the Comanches in Sabinal Canyon, but it wasn't until 1852 when Capt. William Ware settled here, bringing his son and six slaves to settle the valley. Other settlers arrived shortly thereafter and more still in 1853. The community was first called Waresville when the post office opened in 1856. A planned colony on 47,000 acres failed to materialize when potential colonists balked. While local Tonkawa Indians got along with settlers, the settlers were still plagued by the Kickapoos and Lipan Apaches. In 1876 a storekeeper named Kincheloe moved his family a mile north of Waresville. Kincheloe built a large house platted a town and donated land for churches, school and even a park. In 1884 the survey was filed in Uvalde County under the name Montana, Texas. The Waresville post office moved to the new town, but couldn't open under the name Montana. Residents felt the name of Utopia was fitting - and so Montana was renamed and the post office granted. 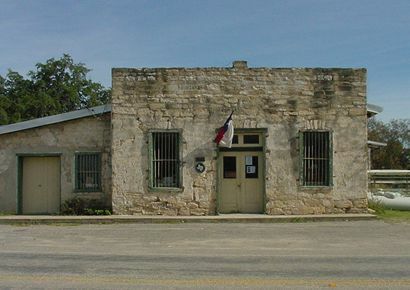 By 1880 the town had a population of 150 and weekly stage service connecting it to Uvalde and Bandera. Life in Utopia was tranquil and uneventful. The years passed and by the end of WWII the population remained at the 1880 level of 150. The Sabinal River was dammed in the the 1950s to help retain water during the bad drought but families drifted away and by the 1960s there were only 60 people living here. The town rebounded after the mid-1960s with the opening of a library, museum, and various community organizations. 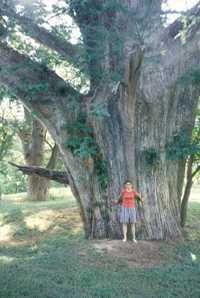 Tourism increased with the opening of Lost Maples State Natural Area in 1979. The population of Utopia was 360 in 1990 but was given as 241 on the 2010 map. The Sabinal Canyon Museum is open Saturdays 10:00 a.m. to 4 p.m. and Sundays 1 p.m. to 4 p.m.
After an 1886 Indian raid on their nearby Little Creek home, R. H. Kincheloe and family moved here, built a home and in 1873 a 2-story rock store. They platted town as "Montana", giving land for churches, school, and community square. Post office moved from Waresville in 1883. Methodists had church here before town was founded. Baptists organized their church in 1888. Church of Christ congregation relocated here, 1902. New name praising climate was chosen by Postmaster George Barker. Stores and shops were built. Town is now a center for ranching, retirement, vacationing.